First Day of My Life: Grocery Store Love? Do you have a "home grocery store"? That one grocery store that you go to just because you have a good time? I go to Publix - which I think is just in the south. There are multiple Publixs in my county but my "home" store is only a couple of miles away. I can't explain it to you - but the nicest, most considerate employees work at this one. They ask me how my day was and how the last meal I cooked turned out. They ask me how the wedding planning is going and we banter back and forth. It's like having a bunch of friends work there. Hi Cami. It's so nice to read this post and hear how personal your life is. I have a favorite super market but they're not THAT nice. I also have good and bad news for you. I AM Dr. Jaffe (and not a publicist) but I am (unfortunately) NOT the Dr. Jaffe who wrote your psych books (at least not yet - my book comes out in November). Thanks so much for your visit and I hope you visit again. I will too as I am your newest follower and look forward to learning more about you, your life, your wedding (congratulations), etc. Excellent customer service makes everything more enjoyable! I do not have a specific store I shop at, but I do have stores I refuse to go to because of the quality of service not being up to par. I so wish we had Publix up here in Ohio! We ordered our wedding cake and cupcakes from Publix---they were amazing! I wish I had a "home" grocery store. The one we had closed in 2009 (it was VONS - also know as Safeway) ... we were regulars there for over a decade. And they knew us by our names & it was nice. Sadly, over the years Walmart Supercenters have taken over & I hate shopping there. 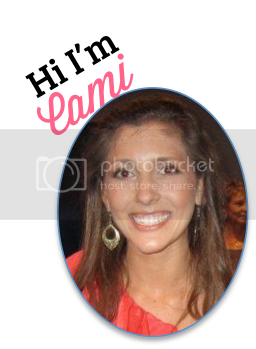 Hi Cami, I adore the Public stores but sadly we do not have any where I live. I miss the friendly people so much. And...the great produce. Our store here in the mountains is Engles. Nice but nothing as nice as public. Lucky you. Enjoy!!! quick update: We have about 2 1/2 months till we're married! Talk about stressed out! haha. Anyways this is my new blog :) I hope we can continue to have our bloggy friendship! Hey just came across your blog, and I think it's great!~I love Publix!~We don't have one in my area but always go there on vacations! All photos & content Copyright First Day of My Life. Simple theme. Powered by Blogger.